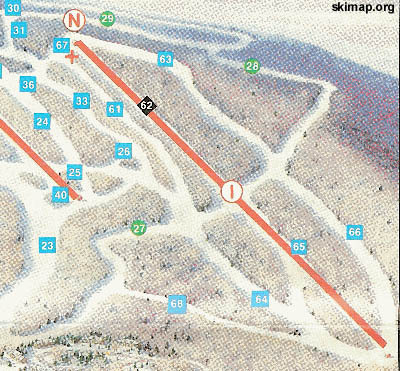 With record skier visits and upcoming real estate plans, Okemo decided to expand northward with a new trail complex. A new Poma fixed grip quad chairlift, climbing 1,115 feet over a length of 4,605 feet was installed, serving 8 trails - some partially existing from the 1960s, others new. 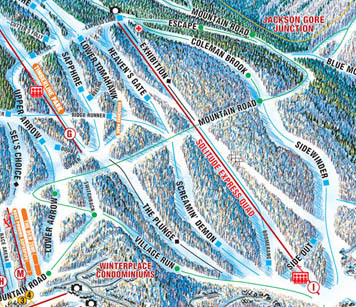 While the liftline was rated a black diamond, the majority of the trails in the complex were intermediate. 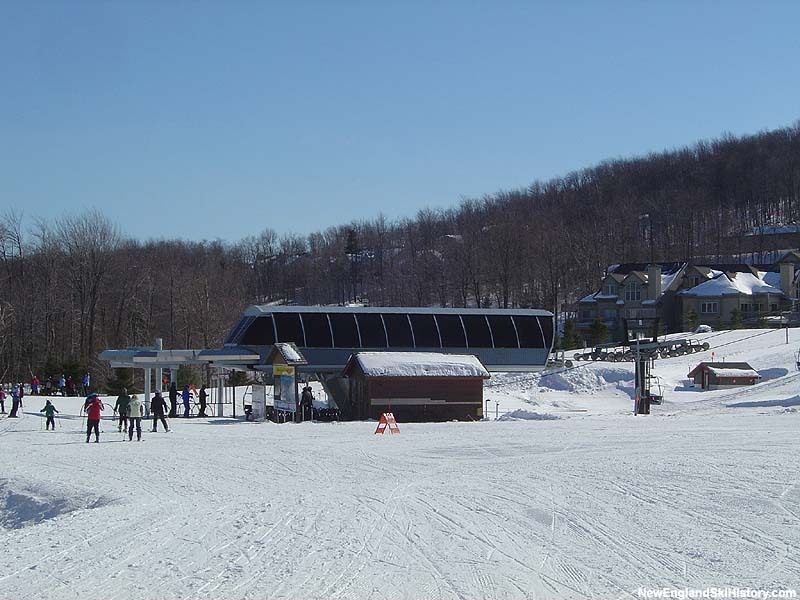 As the mountain and real estate developments grew, the fixed grip quad was moved to the new South Face area and replaced a new Poma high speed detachable quad chairlift in 1994. 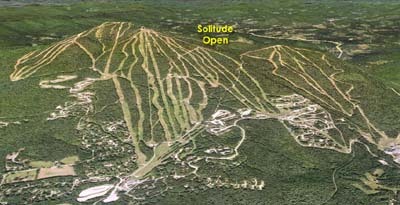 Though now technically in the middle of the massive Okemo ski area, the area still retains its "Solitude" name.